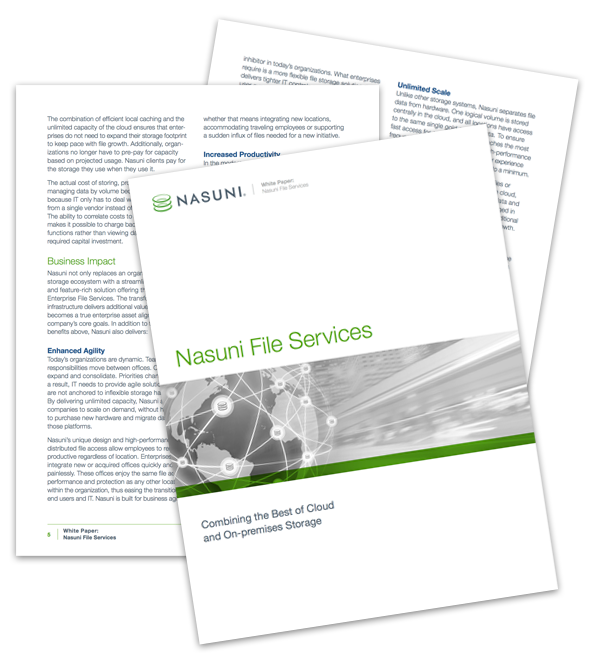 This white paper isn’t just an overview of Nasuni File Services and its advantages. It’s also a primer on what every business should be looking for in an Enterprise File Service provider. Get your copy today! Please fill out this brief form to receive your white paper!